Long Island Elite is a fully licensed and insured company. We offer service in New York and Florida. With over twenty years’ experience, let Long Island Elite Waitstaff & Events work your next event. LI Elite is experienced, professional, reliable, and affordable. Birthdays, Sweet 16's, Graduations, Baptisms, Communions, Confirmations, Weddings, Showers, Brunches, Cocktail Parties, and Holidays. We hired Jennifer and her team to serve and tend bar at our wedding, and we cannot recommend her enough! We wanted to have a couple of signature cocktails for our guests, so Jennifer worked with us to create custom drinks according to our tastes. She even gave us the shopping list for the liquor and ingredients--very helpful for people like us who've never hosted a 100-person event before. On our wedding day, she brought six people with her, and they were all super cheerful and helpful the entire event. They arrived early enough to set up the tables, chairs, place settings, and bouquets, and they were quick to follow directions and suggest improvements. Throughout the night it seemed like they were always working: clearing away and cleaning plates, refreshing the buffet, and serving drinks. Jennifer was always aware of what her team was doing, and how to make sure everyone was on task. Even better, she found me and my husband throughout the night to make sure we were enjoying ourselves and had enough to eat and a drink in hand whenever we wanted it. If you're looking for a fantastic woman to keep your event on track and on budget, book Elite! We are so happy we used LI Elite. From the moment I first spoke with Jennifer I knew we were in good hands with all of our wedding planning needs. 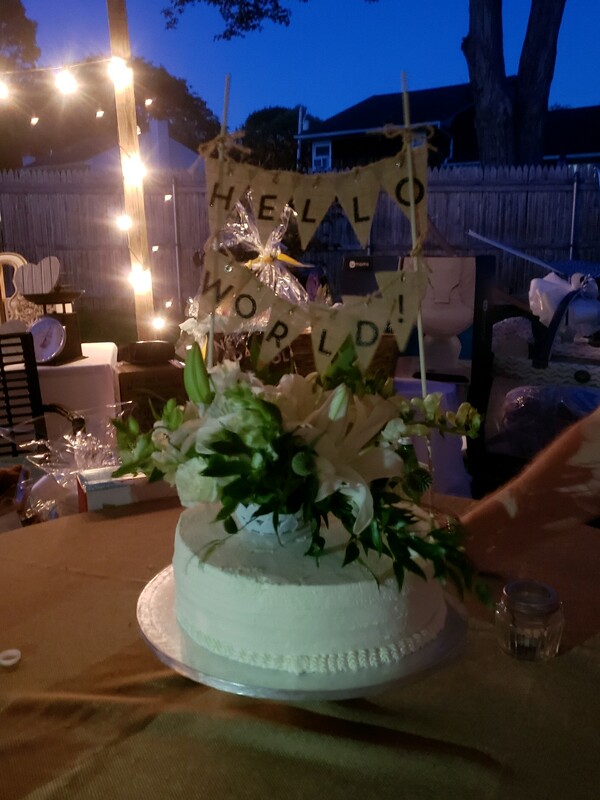 She was easy to communicate with, very knowledge, and helped us so much that we truly couldn't have pulled off our backyard wedding without her! She goes above and beyond. I would definitely recommend using Long Island Elite!! Gail was incredibly professional, knowledgable, thoughtful, and detail-oriented. The party was perfect (and while normally it wouldn't have been easy to prep for it), but with Gail there it was effortless. I worked with Jennifer at Long Island Elite Waitstaff to have someone help with a holiday dinner. She was in constant contact with me, and asked all the right questions to make me feel confident that she would find the right person. And that she did! Christie arrived early, looking professional, and ready to start working. She knew her way around a kitchen, and was familiar with what had to be done - She was a step ahead on everything. Christie was upbeat, and had a lot of energy, which made the evening wonderful for me and my family. Added bonus: LI Elite Waitstaff was very reasonably priced. Responsiveness: Jennifer from Long Island Elite Waitstaff was the first to respond to my post on GigSalad. She asked pertinent questions about my event details so she could provide an accurate quote that matched all of my needs. Jennifer is a professional and her staff has received positive feedback across the board. 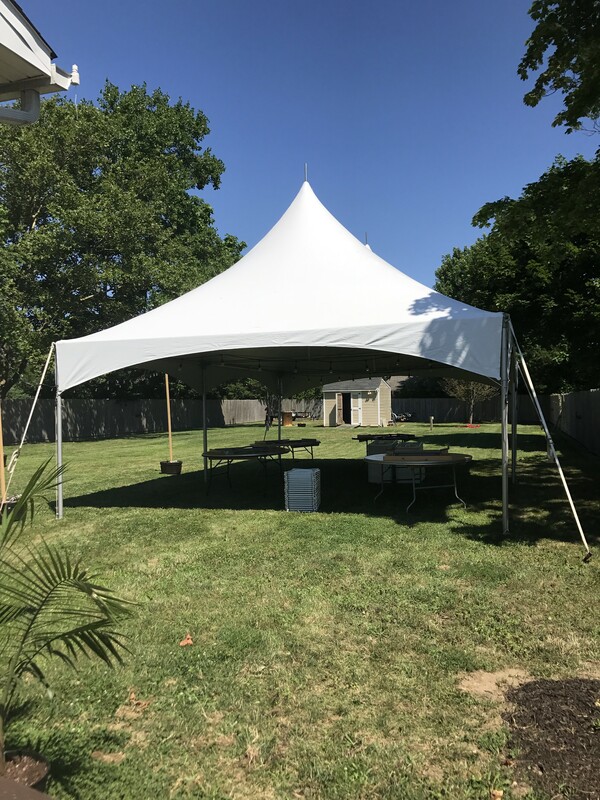 Choosing Long Island Elite was an easy decision due the initial impression, positive reviews, and genuine responsiveness to my particular event. Price: Long Island Elite was not the cheapest bid. I hired one bartender (Nicole) for 5.5 hours. Long Island Elite charged a flat fee for the whole event, for which gratuity was not included. The pricing was explained upfront, and I submitted a $100 deposit and paid the reminder the week of the event (Jennifer sent a courtesy reminder, which was well received). Overall price was approximately 12% more than the average bid. Worth it!! Bartender: If you’re looking for the best bartender, you need to request Nicole. Nicole arrived early. Professional dress for a bartender (black on black). Bright smile, engaging, enthusiastic, confident, and hard working were my immediate impressions, and Nicole surpassed every possible expectation. She asked great questions to get a full understanding of the event: who was attending, what was the schedule, what were my expectations. From there, Nicole got to work setting up the bar, prepping fresh fruit, and arranging a charcuterie. She made the evening seem-less for me as the host. - Clean as you go! - Nicole was present throughout, but also behind the scenes working hard the whole time! Request Nicole!!! I would actually consider changing the dates of future events in order to ensure we can have Nicole tend our parties!! Long Island Elite Waitstaff provided excellent service. My first time using a catering service. Long Island Elite answered my calls promptly and kept in touch every step of the way. Despite heavy traffic delays on the party day, Cynthia arrived on time with a smile on her face and ready to work. She listened to my food prep and serving suggestions and had everything ready when my guests arrived. Her performance throughout the party was efficient and professional. And she was friendly, yet unobtrusive, while clearing tables and replenishing foods. I was able to enjoy my own party and spend time with my guests without all the stress and hassle of food prep or cleanup. I would highly recommend Island Elite Waitstaff and Events services to anyone wanting to host a successful party. Jackie works hard with a smile. Jackie was a breath of fresh air, her diligent work effort, and fast response time to the work at hand, all while keeping a smile on her face, gave my family and friends a breath of relief. I would hire her again and recommend her and the company to everyone. Perfect service, creative suggestions, super easy to arrange and work with. Jennifer was amazing and very proactive. Would definitely use Long Island and Jennifer again! Once again, Jennifer and her staff have hit it right on the mark. My husband and I have been hiring Jennifer, and her staff at Long Island Elite Wait Staff and Events, since our wedding In May of 2017 and she has yet to let us down. Our last 2 events, which were New Year's Eve and Super Bowl Sunday, were such a hit, she and her staff are like family now, and there is nothing I have to do but move out of their way. Thanks again, Jennifer, for everything. Oh and by the way, we will see you guys again on February 23rd for my sister's bridal shower. I use Elite for every party or gathering at my home, both for family and business functions. They arrive exactly on time, prepare whatever I ask them to, serve my guests, clean up, bring out the garbage, run the dishwasher, fold the chairs up - they leave the house as if there had never been a party. They are professional, easy going, reasonably priced and I’m never disappointed. This week was the 5th time I used them - they’re the best! Spectacular, reliable, competent, knowledgeable, friendly, helpful! I hired this company through the owner, Jennifer, for 2 events in the last 2 months: an Office Holiday Party in a Condo Clubhouse and a Baby Shower on a Condo Rooftop. I requested the same servers: Denise and Brian as they were a great team; we called them the Dynamic duo. They were totally in sync with me, my guests and the timetable I submitted to Jennifer. I was able to fully enjoy both parties without worrying about anything from set up to clean up! They presented our catered items in an artful and professional manner and were very attentive to our guests and to my requests as well. Jennifer was so responsive; always replying to my emails or texts promptly and with accurate information and guidance. I highly recommend this group to anyone who values top quality service at a fair price, and a wish to enjoy their own events! I totally dropped the ball and forgot to arrange waitstaff for a dinner party. Jen was more than accommodating and was able to make Brian available for our event on less than a day's notice. Brian is the man! Definitely will use LI Elite in the future! We hire Ofra every year for our annual NYE party, and it's just another year that Jennifer and crew, specifically Ofra, have delivered. Thank you Jennifer and company for your professionalism, and being nothing short of awesome! You have a customer for life. Lovely person, arrived at our door to help us with our New year's Eve dinner party. Jasmine was helpful and lovely to work with. All the while, being extremely cooperative and very pleasant. Cocktail party - amazing help! Once again a fabulous experience with Gail and Denise. They arrived early, stayed late, prepared the food, did a great job of passing the food to ensure that all guests were served, and left my kitchen sparkling and all with a smile and willingness. My guests once again commented on how polite and nice they were. Thank you for helping to make my evening a success. Look no further, Long Island Elite is top notch. We’ve used Elite countless times the past 14 months. I am a loyal customer to them because they always take great care of us. I will never have a party without their help again. Danielle and Anthony were excellent. They arrived promptly, were dressed professionally, took initiative and were very personable. We had our annual Christmas Cocktail party on December 15th, and could have not been happier with the wonderful staff from Elite. Anthony was our bartender, along with Shannon and Ofra as the waitstaff. They were all incredible! Anthony's ability to run an awesome bar was beyond our expectations, and all of our guests thought he was terrific. Shannon and Ofra were fantastic, and they were so attentive to all our guests, and most importantly, I didn't have to do a thing. They set up, served and cleaned up. Had it not been for them, I never would have enjoyed my own party as much as I did. I will never have a party without their help! I have used other companies in the past, but nothing compares to Elite. The owner is extremely helpful and easy to work with. She sent the best team for my Christmas party. Staff arrived early and ready to go. They set up and attended to all my guests needs. The bartender made amazing drinks. The two wait staff did everything in the kitchen and served my guests with a smile. They cleaned everything up and my kitchen was cleaner than its ever been. Thank you Elite, I would highly recommend their service to anyone. I've been having Christmas parties for may years using various waitstaff/bartender staff. I didn't know what I was missing out on until I hired LI Elite Waitstaff!! Absolutely wonderful girls were most attentive to my guests. Denise and Dianna worked the kitchen while Lisa tended bar and left my house thoroughly cleaned up and organized. Never needed my assistance once shown what I expected. Next party they're my girls! I found Elite on GigSalad last year. I was so happy with Christmas Day that I said I don’t think I can ever go back to not having Bryan. Bryan was our server on Christmas and was professional. He did everything from serving drinks , making sure the dinner went out on time and cleaning up. I recently hired him for another party and he will be back for Christmas. Jennifer who runs the business is fast and makes things convenient to pay. I would highly recommend her business. Awesome service time and time again!! I have used Long Island Elite now for 2 years for several different occasions. Every time without fail...great service, professional staff, kind, friendly, guests love the attention, keep everything in order, clean! I am always able to enjoy my guests. I appreciate all they are and do!! Dianne and Shannon were wonderful. They handled my 75 guests with ease. I never had to worry about anything. Thank you Elite. Thank you for sending Laura to help with our Thanksgiving dinner. The last few years at Thanksgiving, I have done nothing but stand at the sink without getting a chance to mingle and visit with guests. Thanks to Laura, I was able to spend time with guests, while she made sure dishes were done throughout the meal, ice and drinks refilled, plates cleared, and more. She monitored items in the oven, cleared countertops, and put away dishes throughout the day. An invaluable service!! Excellent service. Gail was very helpful. Highly recommend. Very happy with the hosting service. Gail arrived on time, was very pleasant and professional. Went above and beyond of what was expected.Did excellent job and cleaned perfectly after. Everyone was professional and made hosting my event so much easier. Where do I start?! Jennifer and her team of staffing really helped save my wedding this past weekend. Last minute changes in weather meant we had hours to transform my original outdoor wedding indoors into a tight space, and without hesitation, the staff helped from moving, cleaning, and aiding the decor team, to adjusting swiftly to the night’s dinner flow change. Overall, they were amazing throughout the process and everyone had nothing but great things to say about the staff. They were so professional and kept calm, productive, and friendly throughout! I don’t know how successful my wedding would have been without them. Thank you Jennifer! The waitstaff and bartender were great. They were so helpful and wanted to make sure that everything was done the way I wanted it to be. Most importantly they were very polite, easy going and really sweet. Will definitely call again for help in the future. SO much thanks to Long Island Elite for the tremendous help with coordinating rentals (a lot of them) for our North Fork Wedding! We were in over our heads and would have been lost without Jen. The staff at our wedding was so incredible, people to this day are still raving about it! Bartenders were FAST, drinks were delish, service was great, and glasses were never empty! Our experience with Long Island Elite Wait Staff was phenomenal. 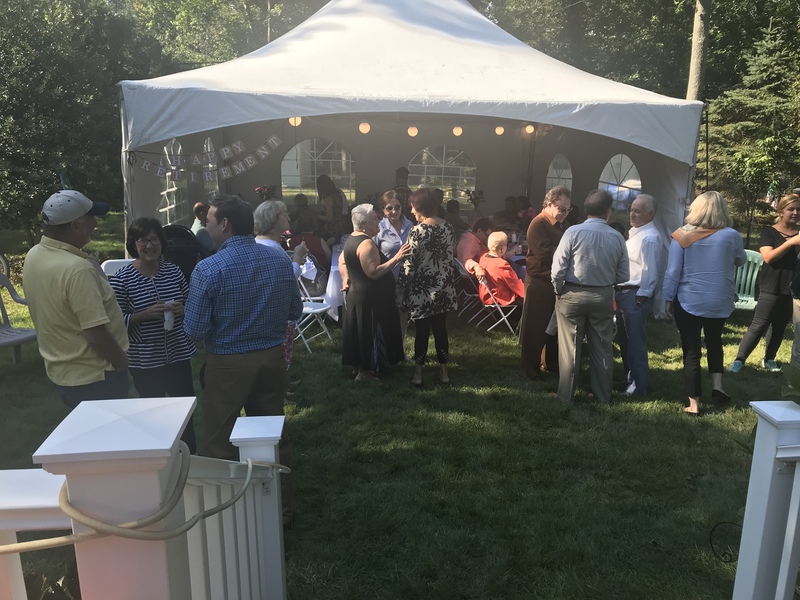 We had a 120 person engagement party and our home, and their team worked seamlessly together to ensure our evening was smooth, memorable and did everything in their power to cater to our guests. The bartenders and waitstaff were gregarious and very good at their jobs. The event coordinator, Brian, was superb and allowed us to actually enjoy our guests. Jennifer is a TRUE professional who answers every minute question with patience and competence. She and her team were a joy to work with -- and as someone who has never hosted an event of this nature, it gave us great peace to know were in just great hands. I highly recccomend Elite with great confidence to anyone looking for help with a party of any size. This was my first experience using them, and I will be sure to use them and only them in the future. Amazing. Thank you, Elite for everything. I was so happy with my Elite experience. The server showed up before the designated time and went above and beyond our expectations. I highly recommend that you use their services. This is my second time booking Long Island Elite Waitstaff & Events and again they did an excellent job. The waitstaff, Gail and Denise, were so helpful, my parents were able to relax and mingle while they took care of passing out appetizers and cleaning up. The bartender, Anthony, was awesome once again, he always has a great attitude and works so hard. Even though the party was slightly hindered by rain, Anthony, Gail and Denise went with the flow. Thank you again! Bartender for Surprise Anniversary Party! I can not even begin to explain how FANTASTIC our bartender Anthony was from Long Island Elite. I had a surprise anniversary party at my house for my in laws and from the moment he walked in he could not have have been more professional and really put my husband and I at ease. Everyone at the party loved him and he made such delicious cocktails! He even helped me with little extra things without even being asked. He went above and beyond! Thank thank you! I can’t wait to use you guys again. You really helped make this a day we won’t forget. Shannon went above and beyond our expectations and we couldn’t have ask for anything better. We were able to enjoy our party stress free! Thank you and I’ll definitely be using them again for our next event! Nothing but good things to say about Long Island Elite Waitstaff! Easy communication, professional service and very reliable! Jen and her staff made our Benefit Gala a great success! Elite Waitstaff and Events provided the service for the Wild Night for Wildlife Benefit Gala this past July and did a fabulous job! Jennifer was so helpful with every aspect of planning the event, from figuring out the number of glasses we needed to how best we should lay the event out. She even managed to save us a good amount of money on our rentals for the night! I loved how Jennifer's staff made sure that all of our guests felt like they received special attention throughout the night, and they really took care of our vendors and volunteers - bringing them food and beverages when they were unable to leave their posts. 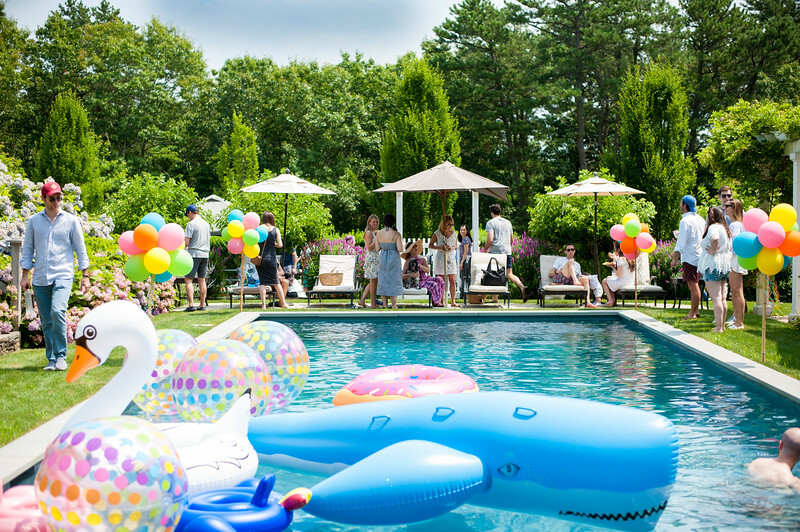 I highly recommend Jen and her crew for a small backyard event, or for a Hamptons gala with 400 guests - they are able to do them all! These are phenomenal people. I found them online around a year and a half ago and just used them for the 4th time for a backyard party. Whether it’s one person or 3, they have been consistently great. They warm the food, set up the tables and sternos, serve, clean up, put out the next course, and by the end of the party the backyard is cleaned up, everything is wrapped and put away and the kitchen is clean. I’ve used their wait staff, griller and bartenders. It’s like being a guest at your own party. Reasonable rates and great people to work with. Christie was punctual, efficient and most importantly an excellent chef on the gas and charcoal barbecues. Excellent Service! Extremely Accomodating! Jenn and her staff are kind and professional. We will use them for all of our functions! From start to finish. Excellent! Reliable, prompt, professional, experienced, friendly. Truly able to relax and enjoy my guests! This is the second time we used the service, first time no complaints whatsoever. We hired a bartender and a server. Bartender was wonderful, actually helped server and covered bar. Server was not a self-starter, really only helped when directed to. Jennifer is super helpful and accommodating. I used their services (waitresses/bartenders) multiple times and every time I’m always amazed at how awesome they are. I was able to truly enjoy my parties without having to worry about a thing! We unfortunately had a family emergency the day before the party and were in a bit of chaos. Our waitress arrived on time, and jumped right in to help out. She went above & beyond by doing a little of everything; wherever there was a need. She set up, helped prepare food, made drinks, cleaned up, even grilled some burgers at one point. I would highly recommend Long Island Elite’s service. Nicole, the bartender and Deanna, the Server, were absolutely fantastic!!!! Everyone commented on their Pleasant and awesome personalities! They both went above and beyond and i would 100% want to have then help out any if my upcoming events and recommend to others. Thanks so much for making it so I could actually enjoy my party by being as helpful as you both were!! Successful Summer BBQ, Thanks to LI Elite! Another great party under our belt thanks to Jennifer and her team at Long Island Elite Waitstaff and Events! 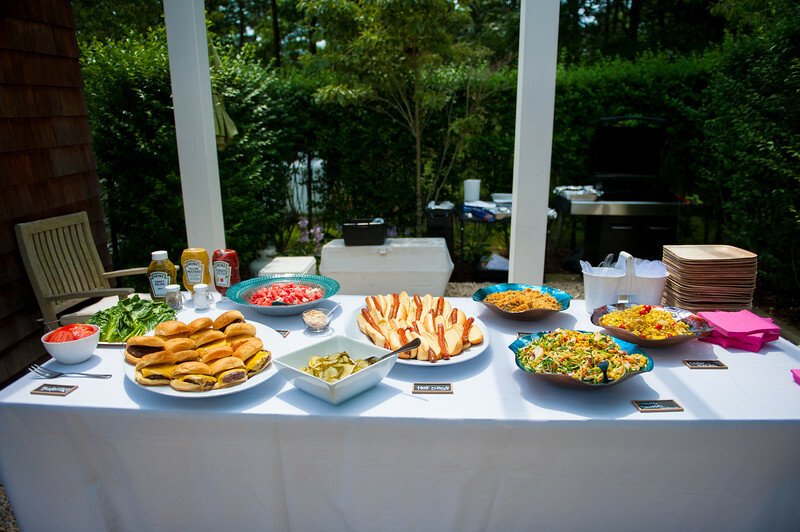 This is our second year working with LI Elite for our annual summer BBQ in Sag Harbor, and we cannot imagine ever hosting this party without them. Jennifer is very responsive and easy to communicate with, and her team is equally as impressive. We hired three staff members for grilling and food service, and we were very happy with their high level of professionalism and experience. While we had the majority of food prepared ahead of time for the grill master’s arrival, Bryan had great suggestions to enhance our menu and whipped up herb-infused grilled corn and an extra dish of grilled peaches with ease by simply using the extra ingredients we had in our pantry. I highly recommend Long Island Elite Waitstaff and Events for your next party - you will not regret it! Loved working with Elite catering. The staff was professional, friendly, and did a fabulous job. Would highly recommend to anyone looking to cater an event, and will for sure sue again! We have used Elite Waitstaff for my brother's Memorial Picnic for the past few years!! Every year the staff is friendly and hardworking. Elite even donates some of there time for the event!! I would highly recommend using them for any even you have coming up!! They truly are the best and we can't thank them enough for their compassion and assistance during an event that means so much to us!! These ladies were amazing! Prompt Professional Polished. They had excellent customer service. Highly recommend this vendor!! What a pleasure from beginning to end. First of all, Jennifer was very accessible and responsive right from the minute I posted my request. We did most of our arranging by text, also making it easy. I don't often hire servers so I did call right before the event. Jennifer was great with that as well. Lisa and Ofra worked our backyard party with about 100 people. Jennifer suggested that we stagger their arrivals to extend the coverage. Both arrived on time and immediately began working. I would check in with them to see if they needed anything and they would reassure me, "We've got this, enjoy your guests." And they did and I did. They were like mind readers. I would think, "Maybe we should put out the coffee now," and they would come out of the kitchen door with the coffee set up, beautifully arranged. They kept everything flowing and my guests had a wonderful time. (Lisa even revived a struggling orchid plant in my kitchen!) I would most definitely use Long Island Elite Waitstaff & Events again, and will recommend them to everyone I know! Amazing service AGAIN from Long Island Elite Waistaff. Another flawless execution from Long Island Elite Waitstaff. Ofra was our server and Chris managed the grill. They did not miss a beat. Ofra was on top of handling the food, serving and cleaning up. She made sure our guests were always comfortable and that the food was plentiful. Chris was an expert griller and chef. He knew how to time out the food and he cleaned the grill so well that it was better after he cooked on it! Thanks Jennifer for sending your A-Team so we could enjoy our twin's 4th birthday party! Laura and Georgia were awesome. I didn’t lift a finger at my event and was able to enjoy my party with my guests. Both my server and my bartender were wonderful. They were personable and professional at the same time. I was delighted with how the day/night went and actually had a good time at my own event. Thank you. I will be using you again and again! Thank you so much for making my party so enjoyable! I rented tables, chairs and hired bbq chief and waitress. This company was great right from the start, communication was easy and fast, my questions were answered right away. The help came and took over and did an amazing job, I was able to socialize and finally enjoy my company! I will definitely recommend and use them again! Efficient, organized, prompt were the entire staff. Helping , serving gracefully with a smile . Assisting non stop and completing all chores. Highly recommend them. Jennifer management skills must be commented ! Thank you very much ! Enjoy your own BBQ !!!!! Hire a griller !!! I have been throwing a large (125+ people) BBQ/Pool party at my house for the 5+ years. Every year I end up spending more time behind the grill and less time with my friends. Someone suggested I hire someone to run the grill this year. It was the best decision I ever made. I spoke with Jennifer to arrange all the booking. She was extremely nice and even followed up the day before to make sure we were all set. Fernando arrived 15 minutes early to make sure he had a layout of where everything was and how we wanted the food to come out. For the next 3 hours he was absolutely outstanding. Everything was grilled perfectly and at the end the grills were perfectly cleaned and all the extra food wrapped and put away. I couldnt have been happy and will 1000% hire them in the future !!!! Aimee was excellent. She did not rest for a minute. She helped us in every aspect & she did it with a smile. Dean and Karen were awesome! I hired them for my son’s graduation party. Seamlessly did what needed to be done and I actually got to hang out with my guests! All my guests were thrilled with the job they did as well. The cards that were left were taken and I know Jen and her staff will take care of them if they should call. The food was good, everyone’s plates were full or cleaned away and everyone had drinks. They were both personable and friendly and did EVERYTHING so I didn’t have to. I would recommend them and WILL use them again. Anthony, Nicole, and Dylan were amazing bartenders at our wedding. Our guests loved them. They did an amazing job setting up and breaking down and serving our 200 guests. Everything was perfect! Jennifer was there for us throughout our planning process. Elite was a pleasure to work with and I would trust them with any event. My child's birthday party went flawlessly thanks to Elite! Gail and Maykala were on top of everything. We had a party of about 80 guests this pas weekend and Karla and Alex were our servers. They were amazing. Took care of everything from setting up and breaking down the food, serving coffee and cake, and cleaning up. Made the party. A very stress free time for us where we were able to just kick back and enjoy. These two ladies were life savers! I’ll def be using this company again in the future. I’ve used Long Island Elite for over 5 years now. They are the best always on time professional and so helpful! I got to enjoy my son’s birthday party! Karlah was absolutely wonderful. She took initiative and the party was a huge success. I was able to enjoy my son’s first birthday since I didn’t have to worry about the details! She did it all! I would use this company, specifically Karlah again for any event. Amazing!!! Karla was incredible! All of my guest raved about how attentive she was, she made my graduation party run smooth from start to finish. She was nice and engaged with the guest while also getting her job done. No one had to do anything because she was always around making sure people had drinks and food and anything they needed. Amazing! The staff was EXCELLENT! They went above and beyond expectations. They were so much help. So glad I hired them and I am definitely looking forward to the next one ! They left my house in and out spotless and clean!!! No after mess or stress! Awesome!! Thank you Jennifer so much for the experience!!! Our server, Nicole, arrived early and went to work. She just intuitively knew what to do - she even washed dishes that were in the sink, helped the baby put on her shoes and filled the dog’s water bowl! I cannot say enough good things about her! We will absolutely use her and Elite again. The party was great because I didn’t have to worry about anything! Nothing but the best amazing! From the minute this team walked into our venue until the minute they walked out! Just 10/5 starts not even 5 out of 5. They even looked out for me when the bill was incorrect from one of my food vendors just amazing group of people!!!! Christie was absolutely amazing. She was kind and extremely professional. She was efficient, neat and took initiative. I am very pleased with Christie and the service she provided. She was excellent! We had Shannon for my son’s 1st birthday party. She was amazing. I really did not have to do anything. She took care of it all. And she even found time to take pictures with my camera for me. The staff was courteous and attentive. Bartender was wonderful and the servers were welcoming to guests and very engaging. Would use again in a heartbeat! This is the second time I have used Elite. Jennifer (the owner) has extremely high standards and this is reflected in the quality of people she employs. Her teams take everything into their hands and leave the host to relax and enjoy the party as well as the company. They don’t leave a anything unattended and do not leave until everything is cleaned up and back in its place. I wholeheartedly recommend Elite and look forward to the next occasion to hire them. Great wait staff every time! Arrives early. Professional. Extremely helpful. Sets up, cleans after guests and cleans and packs everything away from the party. We celebrated our New Year's Eve party at our house with about 40 guests, and Jennifer was excellent! My wife and I were able to enjoy the company of our guests because everything else was taking care of from Jennifer, every aspect was covered and done smoothly, from preparing food display, serving and cleaning afterwards.Drinks were always available and no mess at all. Jennifer is professional and very experienced. I would strongly recommend Jennifer and her staff for any events. Our bartender showed up on time and was very professional! He mixed great drinks. A great hit for our party!! I have been hiring Jennifer and her waite staff since February 2016 and she has yet to let me down. In May I hired Long Island Elite Waite Staff & Events again to do my wedding at a private mansion in Glen Head LI. She and her staff are were personable to my guest, extremely professional, and best of all on time. They tended to my guests every need. A friend of mine was so impressed by her services that she hired her as well for a graduation function for her niece. I recently hired her yet again for bartending services at yet another Mansion we rented for this Christmas Holiday in Westhampton Beach she cearted a specialty drink called the Icicle with Frozen cranberries I absolutely recommend it for any upcoming functions. My family and friends absolutely adore Jennifer I will NOT GO ANY PLACE ELSE other than Wait Staffing than Long Island Wait Staff and Events of Long Island. Thanks Jennifer see you at my next event. Jennifer was an unbelievable help as we hosting dinner for our large family on Christmas day. She was extremely professional and helpful making sure everything flowed from the guests' arrival to refilling their drinks, serving and clearing dinner. I highly recommend Long Island Elite Waitstaff & Events. Right from the beginning I knew I was going to be in good hands. This being a Christmas dinner made me wondering since this was the first time I ever used a service like this. I was totally amazed in Shannon's taking the reins the moment she set foot in my home. I never looked back as she effortlessly took charge and knew what had to be done. Shannon is experienced at what she does and would not hesitate requesting her for my next event as well as long island elite waitstaff. As this was a family Christmas dinner Shannon quickly blended into our party with her amazing personality. All my guests remarked about her professionalism. Thank you Shannon and Elite for making my day. The 2 servers were very nice- but seemed unprepared to fully assist - clean up done well, but I had to keep repeating instructions. Food was served lukewarm?...all desserts were cut into individual slices ( not asked to do that...just to put on cake platters) all leftover dessert squished into tupperware containers- I had mentioned that I was having another family gathering next day & planned to serve some leftover dessert- really couldn't...what a waste. Wouldn't recommend. The staff handled everything the moment they came in. I was able to enjoy our guests, and they left the house clean and everything back in its place. I will be calling you again for our next event. This is the 3rd time our company hired Long Island Elite and we knew from the past that we would not have to worry about a thing. Staff is professional and always goes above and beyond. So grateful for their help, thank you again for all of your help. Shannon did an excellent John making things a little easier for us to enjoy our time with our guests. Jenn--Thanks for sending Nicole. She was delightful, efficient, and took care of almost everything without even having to ask me. She was great! If we are fortunate enough to have our holiday party again, next year, I hope we'll be able to have Nicole here to help. Thanks again and Happy Holidays to you and your family. Jennifer is supremely efficient. She is responsive to requests, provides updates to keep you informed and is a very pleasant person in which to deal. This is the second year I have used her service and the wait staff she sends are incredibly helpful, delightful and knowledgeable. If there were more than 5 stars, I would give it. I want to thank Jennifer and her crew (waitstaff and bartender) for the excellent work they did for my birthday party on 11/11/17 in my home. Jennifer was able to help me plan very last minute with decorations, table rentals, bartender and waitstaff. She responded quickly to messages, helped give me ideas, came to my home early to decorate and set up the bar herself... All the guests were so amazed with the decorations, the bartender (Anthony) was so much fun and made delicious drinks, and the waitstaff worked so hard to make my guests feel comfortable, they even wiped up spills on the dance floor. I am so happy I contacted Long Island Elite Waitstaff and Events. Because of Jennifer, my friends are still talking about my party, they had an unbelievable time. We hired a server for my son‘s second birthday party at our home. We had Shannon and she was great. It was the first time I actually got to relax and enjoy a party at my house. We won’t have another party without them again. This is our 2nd time using Elite for our annual Halloween party. We had a bartender and waitress and they were amazing! Very friendly and super helpful. I was able to enjoy my party because of them and didn't have to be bothered with all the time consuming food/drink. They were always one step ahead! My house was left clean with dishes washed and organized! I was very satisfied! I had a bartender and a server helping out for my husband's birthday party and they were wonderful. They took care of the entire party and I was able to enjoy every minute of it. Afterwards they cleaned up and even packed away the left over food for me. It was the easiest party I ever hosted. Gail was lovely and took care of all our guest's needs. 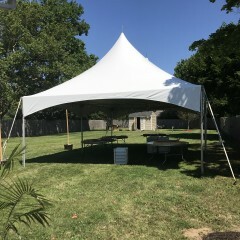 Long Island Elite did an excellent job for our backyard BBQ birthday party of 50 guests. Everyone we worked with was extremely professional and went above and beyond to make it a great event. We hired a waitress, bartender, and two-piece band for the party and all of the staff was extremely courteous and hard working. Jen who helped coordinate everything before the event was a pleasure to work with and made sure her staff knew all of the details for the party. We would absolutely hire Elite again and would recommend them to all of our friends on Long Island. I hired Jennifer and her staff at LI Elite for waitstaff and bartending services for a wedding I was planning at an estate in Sag Harbor. Jennifer made sure all the catering for cocktail hour and reception was done seamlessly and helped with the reception setup. She and her team did an entire switch over from ceremony to reception and helped me transform the area into a beautiful space. This was a unique wedding as it was not held at a venue and there were a lot of moving parts to ensure everything ran well, Jennifer's expertise was a huge help to me as the Wedding Planner. Jennifer and Casey worked a first birthday of 100 ppl at our house. The service could not have been better. We were absolutely impressed. Professional, nice and VERY good at what they do. Thank you! Hired 1 waitstaff to help assist with a backyard lunch of about 25 people and 10 kids. It was super easy to hire and pay through the site and the company owner was quick with communication. Her waitstaff was amazing. Arrived on time, took initiate and was very personable. I would definately hire again! Made this the smoothest experience ever! I can't thank Christie and Ofra enough! They were great! These ladies were friendly and very attentive! Ofra was awesome! Never had to ask for a refill of drinks! She was on point! Great experience, would definitely use Long Island Elite Waitstaff & Events for my next party! 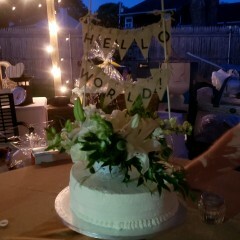 My husband and I just threw a surprise party for my mom this past weekend and Tabitha was incredible! From the second she came into our home I felt comfortable and assured everything was going to run smoothly and it did! She is perfect in every way and so nice, it was a pleasure welcoming her into our home. Her attention to everything made the day/night run so smoothly that we didn't worry about one single thing. I highly recommend Tabitha and Long Island Elite Waitstaff!! I had a waitstaff of two ladies, Ofra and Kate, help at my party. They were very attentive, organized and efficient, and I would definitely consider using them for any of my upcoming events. I could not have had a better experience with Jennifer's staff, not to mention the booking process and how helpful Jennifer was. Everything was done exactly as we wanted it and on time. Her staff was great and everyone commented on how professional everything was. Thank you for helping us throw a great party!! Nicole was exceptional. She was very pleasant to the guests. Everyone loved her. I have booked this company several times in the past. They have never disappointed me. I highly recommend hiring Long Island Elite Waitstaff & Events for your next party. Planning an "easy" summer BBQ always seems like a breeze at inception when setting your Ina Garten-inspired menu and sending off the guest list. Suddenly, reality kicks and you realize that you actually have to execute on what you've committed to - who knew? Jennifer and her team at Long Island Elite Waitstaff & Events were a dream to work with. We hired the help for grilling/cooking and assistance with day-of services like parking attendance, replenishing food and drinks, and clean up. They certainly went above and beyond to make sure our event was successful and our guests were very impressed with their level of professionalism and ability to be right where you need them at all times. Jennifer was very flexible with timing, changes to the menu and open to helping us with whatever we needed. I can't imagine another party without help Long Island Elite Waitstaff & Events. I hired a waitress for a birthday party. She was great ! Didn't have to worry about anything ! Very helpful and professional ! This is our third time using Elite Wait staff and once again we had a great experience! We had a gender reveal BBQ in our backyard with about 60 of our family and friends!! Jenny and Tabitha the staff that came were pleasant and beyond helpful! They grilled for us, served all our food and dessert and even cleaned up! Our guests couldn't have had better service and best part was we got to enjoy our guests!! On July 22 I had my daughter's first birthday party and had the pleasure of working with Jenn and Marianne. Not only where they there early ( and before me ) they had already assessed what was there. I had to make one small change to the schedule and they where on it with no issues. I can go on and on about all they did but truthfully the most important thing was that I was able to enjoy and be apart of my daughter's party because these two amazing lady's had everything under control for me. I even apologised for not checking on them as much as I should have but honestly I didn't have to they had it all under control. I got compliments on how nice and professional they where. And at the end of the party all I had to was minor clean up they did everything. The kitchen in the venue was like we where never there. I would recommend this company's services to everyone. I know that in the future I will definitely call them again for help. Thank you lady's so much for a great job and being able to be apart of the special day. I hired waitstaff for my daughter's wedding on July 1 and the service was excellent. The ladies were professional and friendly. Nicole, Orfa and Christine were fantastic! They kept everything moving smoothly and even when we had a downpour they did not skip a beat! Thank you so much for making the day perfect!! Decorating. The linens were crisp and clean. The day of the party the wait staff and bartenders knew exaclty what to do, allowing me to enjoy our guests. Everything was timed perfectly and a success! I highly recommend them for your events! Hands down the best service. From the moment the ladies got there until they left. They put me at ease and really were on top of everything. From helping me fit my huge cake in the fridge, to helping me clean a stain out of my shirt, making my plate of food for me, and cleaning and storing all of my left over foods. accommodated all our requests and promptly verified and communicated every detail throughout our experience with them. She kept us informed of the delivery and pick up times of our rental items. She requested our timeline so that the party servers would be prepared well in advance. Not only did Noelle and Shannon arrive on time, but they were professional in every manner, from their attire, skills, communications, and pleasant interactions with our guests. They kept to our timeline, yet were flexible if we requested. They neatly packaged and stored any leftovers and were meticulous with cleanup. Jennifer was reassuring throughout the entire process, and with Shannon and Noelle, all we needed to do..... was enjoy our guests and our daughter's celebration....."Thank you!" We will definitely turn to Elite for our future events and highly recommend them to everyone. An easy experience, a great party! Long Island Elite Wait Staff was wonderful for our daughter's 1st birthday party. Jennifer, the owner of the company, was extremely responsive and responsible, making the whole experience easy and seamless. In addition to our communication beforehand, she and her staff arrived early to set up so that the day went off without a hitch. 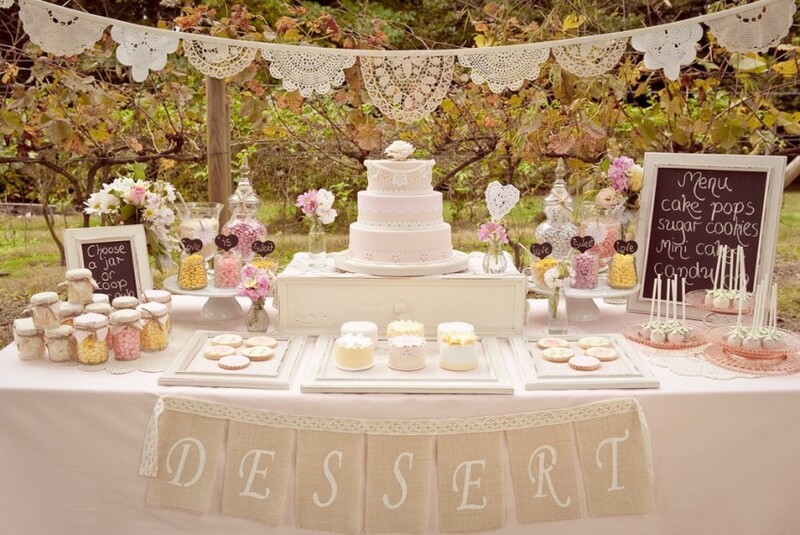 I was able to customize the food we served and the rentals / accessories we used, and everyone loved everything. The BBQer and waitstaff were also as pleasant as could be. We would definitely use Elite again for future events! We had a party and it went great! So happy with our waitress Danielle. She was so friendly and professional. Thank you Elite! LIEW sent Christie and Joe to help with a BBQ I had at my house. They were great. They took control, helped prepare food, grilled, and made the day so easy. Thank you! Excellent service at my baby shower event. They were very attentive and aware of all the needed functions! I would recommend and use Long Island Elite again. Thank you for making my event enjoyable and taking care of my guests. Brian was my griller, he cooked everything perfectly! Christie was my server and she was awesome...went above and beyond. She even helped my husband's grandmother get a burp out of my 1 month old!! Both of them were professional and courteous. Extremely happy with their work. Excellent, would use again in a heart beat. Karla and Shannon arrived right on time and went to work immediately and didn't stop til the end. They took over and handled practically everything allowing us to entertain and enjoy our guests. Using the services of Long Island Elite was the best decision ever. I've used them on two separate occasions and they were attentive, courteous and very professional. They helped me during a Thanksgiving dinner and most recently my daughter's graduation party. I was so happy to be able to enjoy both events and would not have been able to do it with out their help. I highly recommend them, once you use their services once, you will never want to throw another party without them. I absolutely loved working with every team member of Long Island Elite. Everyone was kind and professional. Even guest to my event were impressed with the level of service and welcoming attitudes. Thank you to Jennifer for making the booking a breeze. Thank you to the tent staff who were very nice and efficient. Thank you to Jenn, Christie, and Ofra for clean up, greeting guests, serving food , great drinks and mostly for making people feel comfortable . I am most pleased with their level of service and look forward to booking Elite in the future. Karla and Lisa were fantastic!! They helped make the party wonderful with their top notch service and professionalism. We will definitely have them at our next event. The staff went above and beyond for my son's graduation party. They were friendly amd helpful. I would highly recommend!!!!! I had Alexis and Toni as my waitstaff for my sons christening. They prepped food, set everything up, transitioned setup between meals and kept the party neat so we can enjoy the celebration. They were very attentive and professional. I would recommend them for future events. The girls were great, polite and hard workers! They set up everything beautifully. We all enjoyed the party because of your wonderful great staff. Thank you! Wonderful girls who are delightful and hardworking!!! We used Jen's service for our sons first birthday over this past weekend. She provided us with someone to grill and a waitress. It was amazing! We were able to enjoy the party and our guests. The girls she sent were professional and took care of everything. Jen herself was also extremely accommodating, professional, and a pleasure to deal with. We will definitely be using the service in the future. Thanks Jen! I cannot say enough good things about Orfa and Wendy. They were amazing. Took charge immediately, kept me calm and made the whole day run like clockwork. 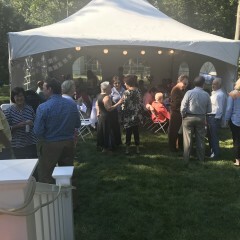 We have hosted this party for 17 years and this is the first time in quite a while that I got to spend time with everyone who came (116 people not counting kids!). Thank you so very much. Our bartender Anthony did a fabulous job at our party. We had a 30th birthday party, I contacted LI Elite Wait Staff last minute, they were able to accommodate my needs perfectly. Great customer service and super easy to book and work with. I would definitely use this company again. 5 stars for sure!!! Jennifer is very professional, on time and organized. Our event was amazing, I highly recommend this company. I can't wait to host another party! I can't wait to host another party just so I can hire them again! We hired Jennifer to serve / cleanup a small party at our house. Ofra arrived at the house earlier than expected and did the work that was asked and then some. She went above and beyond to make sure everything went smoothly. I would hire Jennifer and her staff again in a heartbeat! Thank you Ofra, Jennifer and company - you guys are amazing!!!!! We used Long Island Elite's services for a DJ and Photographer for a corporate event in Montauk. Jennifer was extremely responsive and helpful from the onset. Our photographer, Henry, was so personable, patient and flexible - we really enjoyed working with him! The DJ played a good range of music for our diverse group. Jennifer and Alexis were great! I had them for the first two days of Passover, and they were efficient, accomodating, and knew exactly how to prepare everything so all that I had to do was enjoy my children and grandchildren! Thanks so much! Can't believe i had so many parties without a server. After this experience i will always have a server at my parties. Karla was fantastic. So helpful she helped keep me on track the party went off without a hitch. Everyone had a great time. We used elite waitressing service for my son 1st birthday and they were absolutely amazing I could not have done it without them!!! Everyone at our party also loved them and couldn't believe the great job they were doing.. I wish I wrote this review sooner because they were truly amazing! I will absolutely use them for future parties!! Jennifer was great and so easy going with everything. They did everything from the beginning of the party to the end.. I did not have to worry about a thing.. I can't recommend them enough..
Jennifer was hired for a 15 person sit down dinner. She arrived on time and immediately began setting the table requiring moving chairs around and it looked amazing. She was a real pro requiring little direction, working seamlessly throughout the night. She prepared the salad and cooked the steak to perfection. I felt like a guest in my own home! I would definitely use her again. Thanks so much Jen. Jennifer and her crew did a wonderful job at our event on 1/22/17 in Hewlett New York. The guest were very impressed with how well they worked and very respectful and helpful. I have passed on their business cards onto those who have inquired and I intend to use them for more events in the coming months as well as years. Excellent and professional from the moment they arrived till they cleaned up and left. Would recommend to anyone having any kind of event. Ofra helped us pull off our New Years party, and she was absolutely amazing. She took care of every detail from the start to end. She went above and beyond, staying longer than she was contracted to, and helped heating up food in addition to setting up, cleaning up and making sure our guests were well taken care of the entire time. She truly made our party a success and working with Long Island Elite Wait Staff was a pleasure. I will be using them again for sure! I have used Elite on multiple occasions and have never been disappointed. BEST event planning / catering / service there is. I was hesitant in hiring a waitress to help me out on Christmas Eve. My thoughts were it would be more time consuming to tell someone what to do and I could just do it myself quicker. Boy was I wrong. Tabatha walked in and I knew immediately I made the right decision. Big smile. professional. Got right to work. Even when I was too busy she took initiative and found everything she needed. My guests and family loved her. She was such a big help that I was able to join the family and enjoy the activities unlike other years when I was stuck in the kitchen. I booked Long Island Elite for a Christmas dinner and it was the best thing I ever did. Jennifer was wonderful and I did not have to do a thing. We took care of my friends and family and I got to enjoy my own party for once. She cooked dinner for twelve of us and it was simply perfect. I cannot say enough good thing. I will be contacting her for every party that I throw. Thank you. The waitress was a lovely person but unfortunately she did not provide great service. Food was served cold and she did not move the appetizers along in a timely manner. Also it was very difficult to understand her English due to her very thick accent. I am disappointed in gigsalad, which prior to this event would I would have recommended to people. Christmas Eve is a very hectic affair and having to keep checking on the waitress and move her along made it even more hectic. For the price that I paid I would have expected much better service than what was provided. I am so sorry to hear that you were disappointed. Ofra is a great worker and I have always received raved reviews regarding her work. I truly apologize and will take this into consideration. "Thank you so much for your immediate response and offer. There aren't many business owners who would be so attentive to their customers. That alone speaks volumes. I will definitely take you up on your offer in the future. Thank you again and happy new year!" From the moment she arrived to the moment she left, Carlene was on top of everything. She was an enormous help, and quickly figured out how to take care of all the details without even having to ask me. She made our party so much more enjoyable for us, and many of our guests commented that she was terrific. I will definitely call Long Island Elite Wait Staff the next time we have a large party, and I recommend them without reservation. We had two wait staff, one senior and one junior. Both were incredibly helpful. Made Thanksgiving a whole lot more enjoyable for the hostess. Having used the service was the best decision I made. Jennifer and Tara were amazing and very professional. From the moment they arrived at my home they took over and I was able to relax, enjoy the family and sit down for dinner. I had not enjoyed Thanksgiving dinner in the past because I was the one running around serving and cleaning. Thank you so much ladies for the amazing job. I will surely use the service again. Highly recommended. Phenomenal service on Labor Day Weekend! Absolutely excellent service from Jennifer! I booked her services months ago for a Labor Day get together out east. She was such a pleasure to work with. She and her colleague Carla did not miss a beat. They served, grilled and cleaned up all with a smile. They even had extra things on hand in case we forgot anything including a table cloth! We had ordered catering and they picked up for us and dropped off the platters after the party. I will absolutely be using their services again and will be recommending them to friends and colleagues! They are phenomenal. I was having a block party on Saturday August 27th and I wanted to enjoy myself instead of being in the kitchen the whole time. Ofra was absolutely wonderful! I was able to enjoy and socialize with my guests instead of worrying about the food and cleaning up. She's hard working and she set up the display of food beautifully. She left my kitchen cleaner then it was before she came. My guests were complementing her on the amazing job she was doing. I highly recommend Ofra! Carlene was amazing!!! We used Elite for our daughters 1st birthday party. She made the party so much more enjoyable. I actually was able to relax and enjoy the party. She put everything together severed food and cleaned up, set up dessert! She was a life saver we cant wait to use her again. The crew was outstanding. Jenn, Carlene and Orfa came in and took over. My party wouldn't have been such a hit without them. They went above and beyond for me and my guess. I will absolutely hire them again for my next function and recommend them to my friends and family. Thanks again. They rolled with the flow of the party, and mastered any unpredictable moment with skill. They were polite, attentive, extremely hard-working, and I even received compliments by my guests afterward. Excellent. Our wedding went perfectly with the help of Jennifer and her staff. It was a pleasure working with them! She made everything go just as planned. It would have been a mess without her. Thanks so much! A wonderful experience! She did an amazing job. I could not be happier with the service! Highly recommend!!! I was like a guest at my own party, everything was taken care of from set up to clean up. To say Dianne and Gabby were great is an understatement! They took over from the beginning, kept everything moving as planned, cleaned up beautifully, including sweeping the floors and left the kitchen in wonderful condition with everything put away, while being unobtrusive! I will definitely use Elite waitstaff again! We hired Elite Wait Staff for my brother's 9th Annual Memorial Picnic! They provided 2 grillers on this extremely hot and humid day! We had about 100 people attend and we hired them for 5 hours! They donated an hour of there time and even got a friend to donate a gas BBQ and tank at no charge! They were friendly, organized, and great cooks! My family and I were able to sit and talk with family and friends, share and hear stories about my brother and relax and enjoy the day! In the past, we always cooked ourselves and often felt like we spent the entire day cooking and serving! Elite Wait Staff was worth every penny and we would definitely use them again in the future! It was a huge success!! My waitress, Michelle, was wonderful. I used Michelle for my daughter's graduation party this weekend. She took care of preparing the sterno racks, heating/cooking some food, serving food, icing cupcakes, removing used dishes, etc, cleaning up, putting away all the leftovers, setting up the desert, hand washing all the dirty serving dishes, etc, preparing the coffee. She was so helpful I really was able to enjoy my party and was able to socialize with my guests. I would highly recommended her. We had a graduation party with about 65 guests. Our first time ever hiring outside staff and Jennifer came through for us with very short notice. Kristi and Denise were awesome! They came in, took over and took care of everything. They packed everything up, even cleaned the kitchen floor. We will definitely use them again! We had a 1st birthday with about 75 people and elite waitstaff did an amazing job ! We had Alexis and Karla, they were very hardworking and kept going until everything was perfect, on probably one of the most humidest days of the year ! 2nd time around and still going strong! This is the second time I enlisted the help of Long Island Elite and the service was as outstanding as the first. My kitchen was impeccable clean at the end, my guests were tended to throughout the party. Again, I had the pleasure of feeling like a guest at my party, instead of running around like crazy. Thank you Long Island Elite! I highly recommend Long Island Elite. From the beginning to the end they were professional, friendly and organized. Once they arrived I didn't have to worry about ANYTHING!!! They were great! They were amazing! Went above and beyond. Took care of everything and we didn't have to worry about a thing. Would recommend to anyone and will definitely use them again! 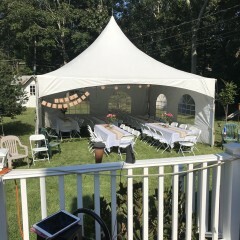 My husband and I decided (in a very short time frame) to throw my daughter a 1st birthday party (65 people) and we hired Jennifer and her staff to handle the event. I cannot stress enough how incredibly organized Jennifer is and when she says she's going to do something, it's done! Its rare today to find that kind of service. She took all of the planning stress away from us so that we could truly enjoy our daughter's birthday. I need to also mention that our event took place during graduation weekend and many of the things that we wanted might not be available but because she has amazing relationships with her vendors, she managed to get us exactly what we wanted. Additionally, her own daughter was graduating the same day as our party yet she didn't miss a beat with us. She made sure everything was taken care of for the party. Her staff, Carleen and Wendy were so attentive, kind and professional during our party. I look forward to planning another event with Jennifer and her staff! This was the first time we have ever hired outside staff for a party and let me say it was a dream. Rosie showed up early to see what we needed and where everything was located and immediately started to help. She was always available and constantly looking for something else to do. She not only helped prep the food that we made, but also the food other guests brought. In addition, she made sure all of our guests (over 20) were happy and even packed up left overs a the end of the night. And if that wasn't enough, we had ordered pizza for our kids, as it was an adult only party, and she individually packed what was left for them for the next couple of days. She was fantastic and we will be using her services again in the near future. I had a small nice casual backyard grad party. I hired one staff member...wow! She helped with food set up, serving, and cleaning. Many great compliments from guests on service. Will definitely use again! Jennifer and her staff are top notch. 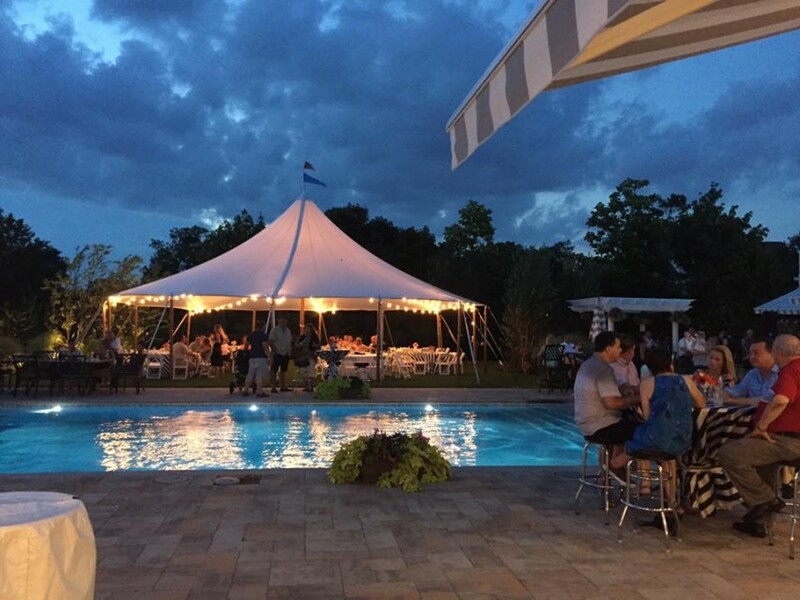 60+ guests at an outdoor event with the threat of rain and Jennifer made sure the tents were here when they were supposed to be here and everything was exactly how we wanted. Professional and courteous. Nothing was an issue. No one wanted for anything. Jennifer and her staff catered to everyone regardless of the request. I've used her company for small intimate dinner parties and large events. I will always use Long Island Elite Wait Staff for all of my entertaining needs. We hired Rosie and another lady for 2 nights for a holiday dinner party for 15 and then 21 people, respectively. Both nights went wonderfully. We had them help with some light prep of the meal, serving and then cleaning up. At the end of the evening, the kitchen was spotless and there was nothing for us to clean up. Couldn't recommend them moreso and will definitely use for future larger gatherings. Jen and Carla did an outstanding job catering a dinner for me. From the moment they arrived (promptly to a "t") until the moment they left, everything was perfect. They were consummate professionals who knew exactly what to do. Their polished presence enabled me to be completely relaxed and all of my guests had a wonderful time. They were present and attentive at all the right moments, yet never obtrusive! I will, without hesitation call them for my next event, and wholeheartedly endorse them for anyone else's event. Professional, courteous, well oiled machine! Surprise birthday party for my husband, plus 50 people, I was able to enjoy party like a guest. Jennifer and her team were incredible, truly I will never have another party where I try and do on my own. I provided 15min overview of home, food and drinks, and that was about all the direction I gave for the next 5hrs. True professionals! They were absolutely amazing and well worth the money spent so I was able to enjoy my party like I was a guest in my own house party! My 3 year olds birthday party turned out great and they worked so hard cleaning up after our guests, serving drinks or food, and taking care of the garbage. Will use them again! Jennifer from Long Island Elite Wait Staff was the best she was prompt, efficient and my guests loved her and havent stopped raving about her. Jennifer called me weeks in advance and came up with signature drinks one she came up with that really stood out amongst my guests was called the Icicle it was the best. I would whole heartedly recommend Jennifer over and over again it's a delight when someone can just come in and take over and you don't have to worry about a thing and just enjoy mingling amongst your guests. Thanks again Jennifer you are FANTASTIC. Keep up the great work. I have worked with Jen and her team over the past three years on multiple occasions she is always on time hard working organized and manages her team extremely efficient. My guests joke that when they drop a piece of food it never hits the floor because she catches it first. After each event I have the house is cleaner than it was prior to the event and I wake up the next morning never knowing anyone was in my home. I would highly recommend Jen and her team to all of my friends and family for any events she is simply fantastic. Jennifer did a great job waitressing at our family holiday party. From setting up to cleaning up, she did it all and I was able to have a drink and relax with family. Professional, helpful, would hire again and again! From the moment we first spoke with Jennifer, she was extremely helpful in guiding us through the entire planning process. She assisted with getting all the tables, glassware and miscellaneous items we needed. We felt she really went above and beyond with everything she did and really gave us personalized attention throughout the weeks leading up to our event. On the day of the event, she and her team arrived ready to go. They were very flexible with our last minute changes and made the party go off without a hitch. They were extremely attentive to all of our guests, timed the flow of the party perfectly, and left our house spotless. We will definitely be using Jennifer and her team for future events as well as recommend them to family and friends. We couldn’t have asked for a better team to work with! I hired Kate of Long Island Elite Wait Staff (LIEWS) and was impressed with the her early arrival and strong work ethic. She knew exactly what she needed to do to make my event a success. Kate's representation of LIEWS could not have been any better. If I ever need wait staff again, I would go straight to LIEWS and of course ask for Kate. Thank you, LIEWS! Thank you very much Roberta. I am so glad we were able to help make this day a little easier for you. We look forward to working with you in the future. I am so thrilled I booked Long Island Elite Wait Staff to help me with our community Adults Only Halloween Costume Party! The ladies were prompt and took care of everything, even down to helping to judge the costume contests! We only had 1 hour to clean up the entire party and return the venue to its original state, these wonderful ladies helped to ensure we met that deadline. I would definitely recommend this company and look forward to working with them again in the future. Very reasonable rates as well! Finally got to enjoy my own party thanks to Elite! They took care of everything from getting the catered food out to putting my own creations together! Michelle and Carla were amazing. They not only made sure the party went well but left my kitchen immaculate! I got to enjoy the party and had nothing to do once it was all over. Thank you for doing such a great job! Kate was fabulous! Everyone was commenting on how great, thoughtful and professional she was! She was always a step ahead of me-prepping, cooking, cleaning up and wrapping up left overs. My guests were very impressed, as was I. If we have another event, I would definitely request her and use Elite again!Thanks again!!! We used Elite for the first time for a BBQ at our home for about 30 people. From the initial telephone conversation with Jennifer I knew I would be satisfied with their service. Jennifer was very efficient during the planning stages and communicated (both by phone and email) in a very timely manner. The day of the event Jennifer and Michelle were both great, taking initiative in what needed to be done and totally self-sufficient. In addition to the typical server responsibilities (set-up, replenishing, clean-up, etc. ), Jennifer also performed all of the cooking at the BBQ to allow my wife and I to totally enjoy our guests. I should also mention that we decided to rent two bar-height cocktail tables. While I was researching where I could get them, I called Jennifer for some guidance. She made arrangements for the tables and brought them with her the day of the party - preventing me from having to pick-up and return them myself. Since our guests stayed later than we had expected, Jennifer and Michelle happily agreed to stay on an extra hour later than we had scheduled. All of our guests commented on what a great job they did!!! We will be definitely be calling Elite for our next party - you should too!! Thank you Jenn and Kate! My daughter's college grad party was a breeze with the help of Jenn and Kate. They were wonderful, and very efficient. I hardly lifted a finger and was able to enjoy my own party for a change! Thanks again! Pleasure to work with and very flexible. Professional and hard working as well! Have recommended LI Elite Wait Staff to friends. The service surpassed my expectations. Much more than having assistance, I was a guest at my own party. They completely took care of everything that needed to be done and the event ran as smooth as silk. The professionalism was so impressive, some guests will be retaining the company's services for their own upcoming events. Positively a supreme worthwhile investment and yet the cost is surprisingly affordable. This crew was amazing at my suprise birthday party. From the beginning with great communications. To the end where they wrapped up and put all remaining food away. These two ladies did an amazing job. Thank you for everything. And we will see you again. The entire process of obtaining a waitress for my party was so simple! The co. was great to work with and led me to Jennifer, waitress for my party. She was amazing! Very professional, friendly & worked extremely hard from start to finish!! Would def recommend her and look fwd to using her again!! Veronica and Jennifer were Absolutely incredible!! Not only did they help me out tremendous, they even helped me become a little less stress considering I had to plan my brothers wedding party on my own. If I didn't have these two wonderful ladies that night, to help me out. I Don't think the party would of been a success. Definitely going to save their number for future partys. Thank you for the kind words Cindy, we were happy to help with this very special day. We look forward to working with you again! I decided to host NYE later than I normally would and the event planners I've previously used were already booked. Someone had suggested LI Elite so I decided to give them a try. Jenny was willing to work with my short schedule and provided 2 bartenders and 2 waiters. The girls that came were extremely polite and professional. I was very impressed with their attention to detail and creative ideas that helped make my party a success. I will absolutely be using LI Elite again in the future. Jennifer was a pleasure to work with, she was very professional and courteous. Our event needed 2 servers and a bartender, all of the staff was very experienced and friendly. 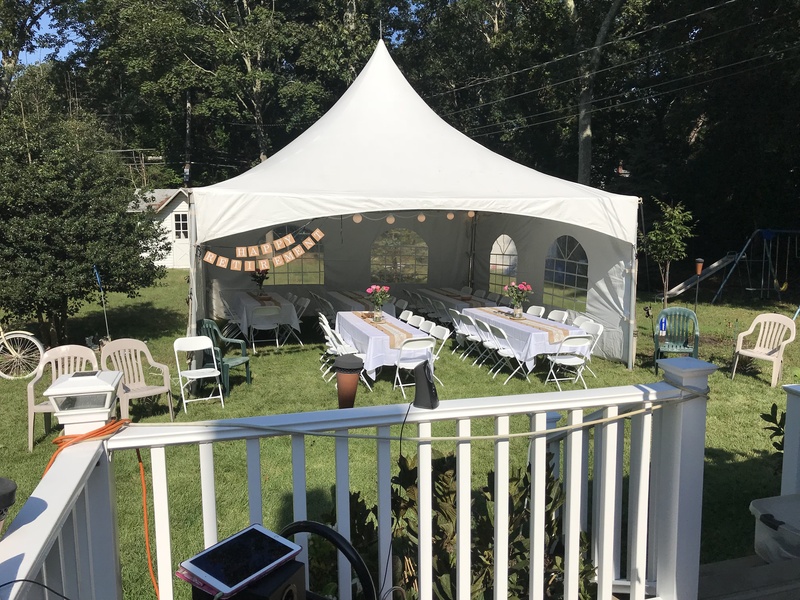 Jennifer and her staff took care of everything, it was really nice to have a party and not have to stress about anything, I'll be using Long Island Elite Wait Staff again, I highly recommend this company. Thank you Mrs E, it was a pleasure working with you. I hope to have another opportunity in the future! LI Elite made my house party run so smoothley. I was rushing and stressing until my wait staff arrived and took over everything. They set up, cooked, and cleaned the whole way through. Everything was timed nicely. My guests complimented the service and asked for their contact info. I am very happy with their services and will never host a party without them again! Thank you Long Island Elite. Expect elite service and the very best for your party or event. Our staff has served guests for over twenty years. Call us today, and let us help you with your next event. With over twenty years’ experience, let Long Island Elite Waitstaff work your next event. Long Island Elite is experienced, professional, reliable, and affordable. We offer service in New York, Georgia, North Carolina and Florida. Birthdays, Sweet Sixteens, Graduations, Baptisms, Communions, Confirmations, Weddings, Showers, Brunches, Corporate Events, BBQ's, Clam Bakes, Pig Roasts, Cook Outs, and Holidays.